At Educon 2.5 in Philly there were 2 sessions with a math theme. 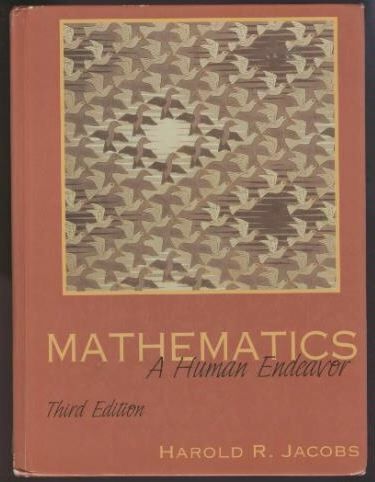 The first one was led by Mike Thayer a high school math teacher in New Jersey. His stated goal was to outline a foundational, incubator course that would prep students for future courses both math and otherwise. First there was a discussion of what topics should stay and what should be left out of the course. Trig identities was the first suggested cut. Others suggested their least favorite or important topics. Since my thoughts were focused on more radical alternatives, this topic by topic analysis seemed very unproductive. The pervasive grammar of school was rearing its ugly side and at this point clouding any hope of this group of very smart people coming up with a course that could truly make a difference. 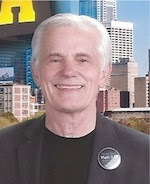 But soon it became apparent to Mike and others that maybe dropping/adding a few topics was not where we wanted to go. But then what would prepare students for more advanced courses they will study later on if not getting the topics right? One participant suggested that the course should focus on helping students "learn how to learn" and not worry about the tests because if kids know how to learn then test prep would "take care of itself." The course should also include lots of real world problem solving. Mike showed an the example from Dan Meyer's 101 questions where a real world photo appears and the students are asked what questions come to mind. One criticism of this approach was that most of the photos elicited questions having to do with proportional reasoning which made it limiting for high school pursuits. The course should be more than just real world because math is a world unto itself. Students should experience math in more abstract ways as well. But concrete experiences build models in students' minds that help to make the abstract concrete. At this point Mike brought up the idea of students building things - having concrete experiences. There is a lot of math there. Also students should use programming to explore topics. All these experiences will help students to learn how to think for themselves and become better problem solvers. So what should such a beginning course look like? It definitely needs to be something different than just rearranging topics in current textbooks. 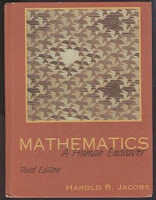 What comes to my mind as a wonderful solution is Harold Jacobs classic textbook: Mathematics - A Human Endeavor. Edition 3. This book came out in 1994 and I always hoped that Jacobs would update it to include more technology, but it never happened. (It's still on my bucket list to do something about that.) 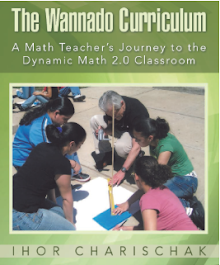 Not only is this book solid mathematically, but it is highly readable and will motivate even the most reluctant math students to think mathematically. The teachers guide is one of the best ever written in my opinion.